The stylish appearance of the X7 is combined with absolute quality in technique. 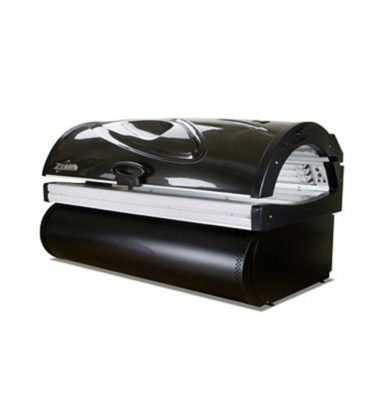 This reflects in a compact, yet very comfortable tanning area and great tanning results! 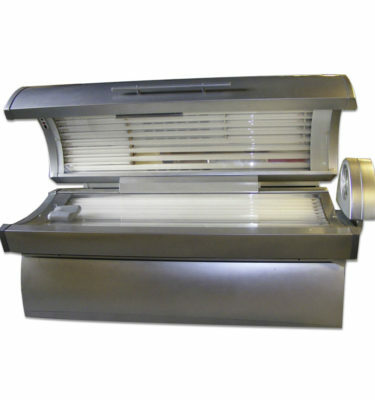 Choose from a range of optional tanning features that clearly stand for high performance tanning. 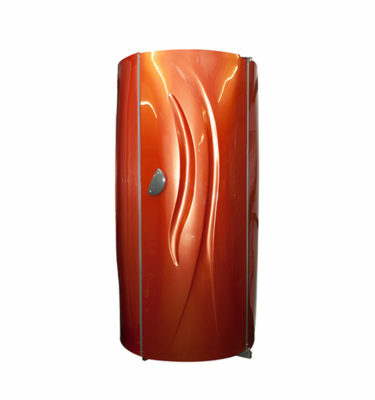 As refreshing feature CliMax (optional) combines different ways to create the most comfortable temperature while tanning. Air-conditioned air is blown between the double acrylics in the bed to cool the lying area. Secondly this exclusive system blows the air-conditioned air via the body cooler at the foot end in a fresh breeze over the body. 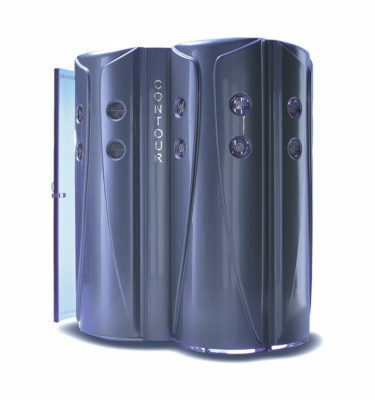 The body cooler can be adjusted in 8 power levels. Decorative light on the front canopy and base. Optional ContourPlus, the ergonomically shaped acrylic shield which supports the sunbather’s body, making the tanning experience as comfortable as can be. SPr “spaghetti” tubes strategically placed between the tubes for extra face and décolleté tanning at comfortable temperature. An optimal mix of UVA and UVB within the EU norm, switchable SPS gives extra attention to the face. In SLi versions the dark blue filter glass allows effective UVA output for direct pigmentation BPS filter glass for SLi gives a perfect balance of UVA and UVB up to the optimum allowed by the EU norm of the 0,3 W/m2 and UV-type III. For extra stimulation of blood circulation, BPS also transmits some infrared. 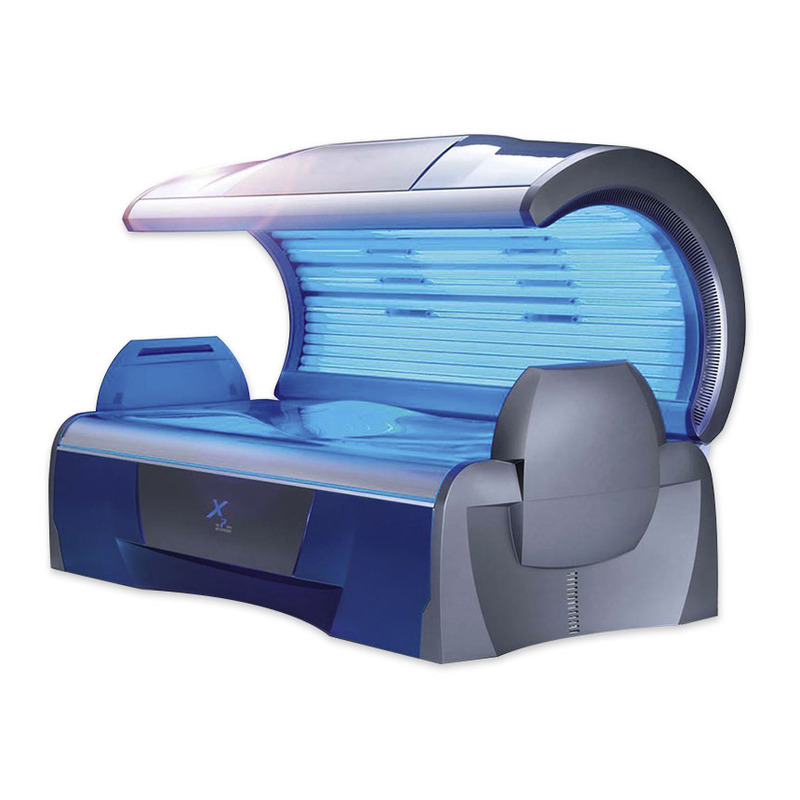 This will enhace the tanning effect, as well as the instant visual effect in the mirror. HPS filters for SLi transmit a strong and powerful combination of UVA, UVB and infrared. This highly effective combination will give an instant visual tanning effect in the mirror. 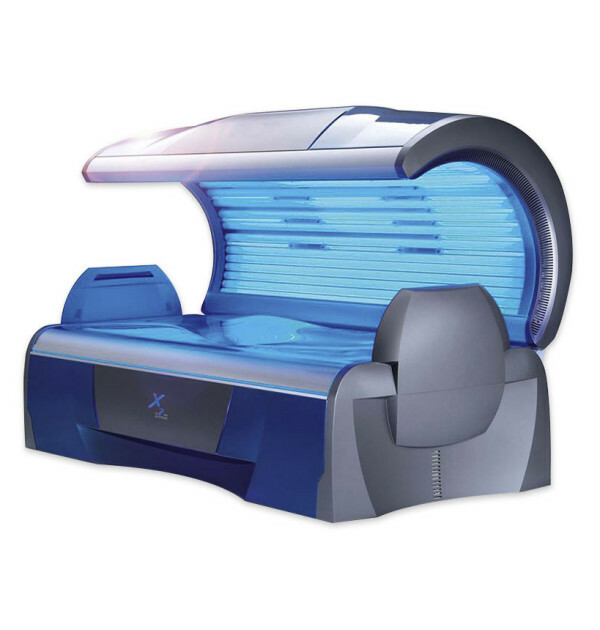 With its quality sound system, Luxura X7 transforms every tanning session into a treat for the ears. No matter whether clients want to listen to a personal playlist, soothing lounge music or relaxing background tunes – they will bask in an overwhelming sound experience. Four loudspeakers plus subwoofer guarantee a full sound. SoundAround Plus features besides four external channels, two pre-installed SD cards packed with relaxing and energetic music. All pre-installed music is free of copyright costs. The owner can use the SD cards for their own choice of music as well. Or the tanner simply plugs in his/her own MP3 player or smartphone for individual sound. My MP3 and SmartVoice are included in both SoundAround Basic and Plus.